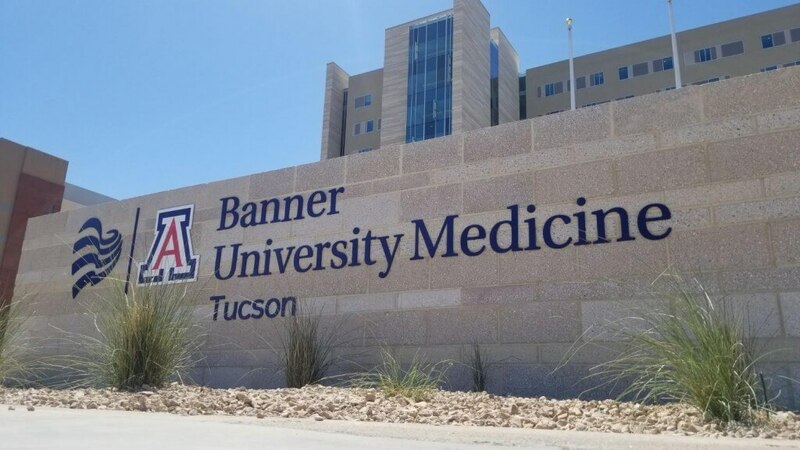 Graphic Impact is involved in a very large project at approximately twenty different locations throughout Tucson for Banner University Medical Center. This includes monument signs, backlit and three dimensional letters for the faces of buildings, way finding and directional signs of all types. For interior portions of the building, ADA braille and raised letters, directories, wallpaper, room signage, fire escape designations, parking signage and posters.